Medicare Covers Diabetes, but how? And the answer is…in 99% of cases is yes, if you've got Medicare part B Medicare covers diabetes. However, HOW you are covered might vary depending on whether you have an MAPD plan or original Medicare with a supplement Plan. If you've been diagnosed with Diabetes, you can take a class that teaches you how to manage your condition. Medicare will cover the cost of the class under outpatient diabetes self-management training (DSMT). This is covered under Medicare Part B. The DSMT training can include one hour of individual training. It can also include up to nine hours of group (classroom) training. 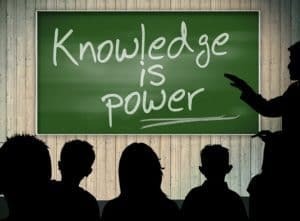 And, to keep you “in the know”, you may be able to get up to two hours of follow up training each year. If you are in a rural community, and there aren't any classes in your area, you might even be able to get your training via the phone! These services are covered under Part B, which means that you'll have a 20% copay if you are on Original Medicare. But if you have a Medigap Plan that covers the Part B copay, then you won't have to pay that 20%. Diabetic Test Strips are covered under Part B of Medicare. The Diabetic Glucose monitors are also covered. These items are covered under Part B of Medicare as Durable Medical Equipment, also known as DMEs. Where it gets confusing is the insulin itself. Sometimes this is covered under Part B, and sometimes it's not. It depends on your condition. 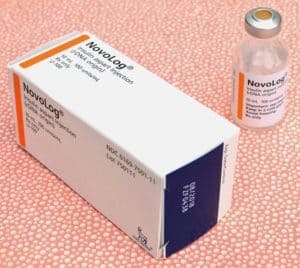 Insulin and syringes, needles, also insulin pens are covered under Part D if you don't qualify for insulin under Part B.
I'll discuss this in greater detail later. Part B covers screenings to check for diabetes, and will cover up to two screenings per year. 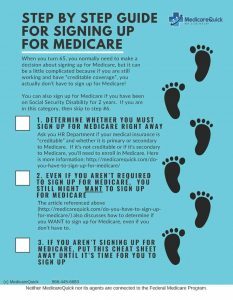 You are eligible if you qualify for Medicare and you have certain risk factors such as a history of high blood sugar, high blood pressure or a history of high cholesterol. You are also eligible if you are obese. 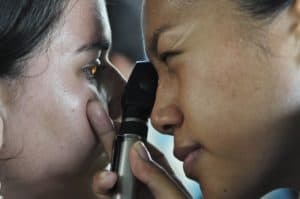 Although Medicare doesn't cover routine eye exams (for glasses or contacts), if you have diabetes, you qualify for an annual eye exam to check for diabetic retinopathy. This is covered under Part B, so if you have a Medicare Supplement Plan, such as a Plan F, which covers the Part B copay, you won't have to pay because your insurance company will pick up that charge for you. Since people with diabetes are also at risk for glaucoma, you're also eligible for an annual glaucoma exam. Regular checkups are important for everyone, but if you have diabetes your eyes are particularly at risk, so be sure to utilize your benefits. 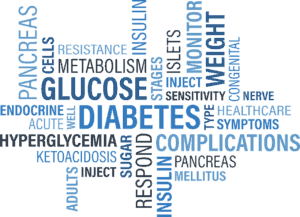 Diabetes related drugs might include injectible insulin, statins, mimetics, metformin, etc. Part D of Medicare covers these drugs. Humalog is an expensive drug. You already know this if you are using it. And some diabetics are using the wrong plan to cover it. If you have a pump, you might save money by using Part B, and not Part D to cover your Humalog. Why use Part B instead of Part D? Medicare covers Humalog under Part B if you have a pump. If you have a Medigap Plan F, that means you will have a 0 copay, AND will not be subject to the donut hole on this particular drug. If you file under Part D then you WILL be subject to the donut hole, which can drive up your out of pocket costs. My advice: Do your research if you have a pump. And the fifth category is things that you may need if you are not in good control of your Diabetes. This might include eye surgery, dialysis, etc. Diabetics may also be susceptible to soft tissue injuries such as rotator cuff problems. In this case Medicare would cover your physical therapy. 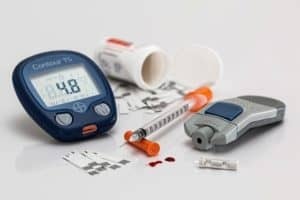 Medicare covers diabetes, but if you have diabetes, and you are turning 65, you'll need to weigh the pros and cons of a Medicare Advantage Plan over Original Medicare with a Supplement plan. Because Medicare Advantage Plans often have lower monthly premiums they look like a good deal. They also have maximum out of pocket limits that I like. But if you have a pump, you might be better off with a Supplement Plan. This is because your medication may be covered under Part B. If you have a Supplement such as Plan F, then you would pay zero for your insulin. With an MAPD plan you likely won't have that luxury.